Preparing for disasters and critical situations has its benefits. Preparedness gives you the benefit of knowing what to do, and that knowledge increases your chances of survival. 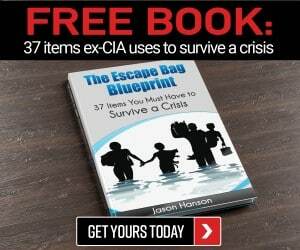 Panic during a crisis is your enemy, and it can be fatal. If you prepare in advance, it reduces your panic level, and you can more quickly react to any situation. Being prepared in a crisis can truly be the difference between life and death. But just like anything in this world, too much of a good thing, even prepping, can be bad for you. Over-prepping happens when you become obsessed with the number of things in the world that can cause a disaster. This phenomenon is obvious in people who spend more time than they should doing this. Some tend to hoard while others spend so much time prepping that they stop from enjoying life. To say the least, over-prepping causes disruption and tension in your relationships and your everyday life. This article talks about five ways in which folks take prepping to the extreme when they shouldn’t. When faced with disaster, the basics of bugging in are food and water. The automatic response of people in most communities is to go to the nearest grocery store and buy as many things as they can. On the other hand, preppers stockpile food and water even before there are immediate signs that a potential disaster is looming. They’ve already stored enough food and water to last for at least seven days. 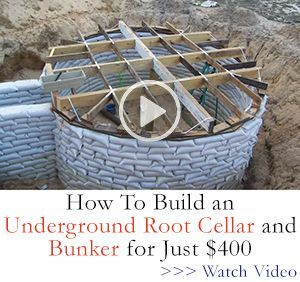 Unfortunately, some preppers take stockpiling to the extreme. Every chance they get, they add something to their stockpile. They buy extra bottles of water because there’s a buy one, take one promo. Or maybe, they end up storing leftovers in the freezer, incorrectly hoping that it’s going to last a longer amount of time. The result is an excess of food and water or worse spoiled food. The problem with stockpiling too much is that as a rule, you should only have enough goods that can last a year. A one year supply helps to ensure a healthy rotation of resources and prevents the possibility of ingesting something that’s already spoiled or rotten. Having too much food and water means that you run the risk of not being able to keep track of which was the first batch that went in the storage and therefore the first thing that you should consume. Before you know it, you may have consumed the latest batch and left the older ones to rot which you could have avoided if you had followed the first in, first out (FIFO) rule. Instead of helping you survive, your stockpile may turn into a health hazard. Another risk of going overboard with stockpiling, especially when it comes to food, is that you may have bought too much of the same thing, which leads to food fatigue. Unfortunately, this is a very real possibility, and it can be fatal especially if it causes anxiety and depression to you or your family members. On the other side of the spectrum, it’s also not wise to stock up on food that you and your family don’t eat just because it’s on sale, or there’s a promo or it’s cheap. The key to surviving is to keep the morale up. Otherwise, you might end up digging yourself a hole in the ground. Prepping is more than just having the basic needs required to survive. It entails a lot of other things like the gear you’re going to be using and the skills you’re going to utilize. Aside from storing too much, another common mistake among preppers is trying to be the best at a skill that they’re already good at. Though the goal may have been to master it, doing this will only hinder growth and adaptability. For example, if you’re already good at gardening and keeping your crops alive in spite of any weather, don’t focus all your attention on honing those skills. Instead, take the time to learn others. Try your hands at the skills you don’t know, such as starting a fire, rehydrating dried food, self-defense, or even learning how to make just about anything into a weapon. What matters is that you build up your arsenal by learning the things you don’t know on top of mastering the skills you already have. Focusing and only doing what you’re already best at doing is counterproductive. As it is, we don’t even know how the world will collapse. It would be better to pick up as many skills as you can and make sure that you’re as proficient at new skills like the ones you already have. This way, you will know what to in any situation thereby increasing the odds in your favor. Besides stockpiling, another danger of over-prepping is hoarding. You may end up collecting far too many weapons, countless stacks of clothes, and numerous supplies that end up in a hopeless heap of things. If there’s anything that hoarding risks, it’s a convenience of knowing where everything is. When a disaster strikes, locating the items you need may take you far too long. Obviously, you will only be able to carry a limited number of things, especially if you need to move. If you randomly hoard supplies, moving them ca be difficult. Another risk of hoarding is the fact that you might have ended up spending your money on too many things that there’s not enough of your savings left for when you need it like when you need to seek professional medical attention or reestablishing your life after the disaster. 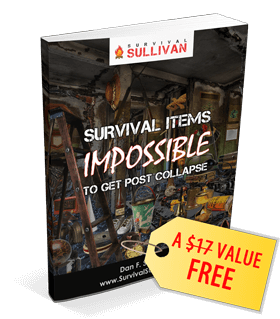 Sure, you may be able to sell at least half of the things in your very extensive stockpile, but ultimately, you have to consider that it might not even survive a critical situation. Probably the worst problem with hoarding is that it makes you more vulnerable to dangerous circumstances such as a house fire. It can make the flames spread faster than you can react which will ultimately lead to your doom. Another situation is when there’s an earthquake or even a flood. You will have to avoid many things that can injure you, and if you did manage to hoard a whole lot of sharp things, you might end up in a hospital bed because of stray weapon. Although having the necessary supplies is important, always keep in mind that you should only get what you need. You have to settle for cheap and unreliable items. It only means that it’s very important for you not to go overboard on getting things that you think you need. The best way to get out of the dangers of hoarding is to get the optimal item and be at peace with it. This way, you will have funds to spend on other things or save for future purposes. Another thing is to know the difference between wants and needs. Always prioritize what will help you survive and remember that that although having duplicate items is smart, you don’t necessarily have to stockpile five of everything. Because of your intense desire to keep yourself and your family safe, you may end up forgetting that you only have one chance at life and that you should enjoy it while you still can. While preparation is the key to surviving, it doesn’t mean that you have to close yourself off to every little thing that you think can cause danger or waste your time. A few examples of this situation are when you begin to refuse to go out and chill with your family and friends thinking that disaster can come from anywhere at any time. Another is when you refuse to give yourself a chance enjoy the finer things in life simply because a big house is susceptible to fire or wearing makeup will only mean wasted money that you could have used for prepping. Perhaps the worst that can come from this attitude is that you become too strict with your family; so much so that allowing your children to go out terrifies you. Even if you have their best interest in mind, this will only start a breeding place of toxic relationships, and you will end up losing the people you cherish most. While it’s true that there’s no telling when disaster will strike, there’s no reason for you to hold yourself back from living your life. No matter how cautious you are, something will eventually happen and at that point, you can only hope that all the prepping skills and knowledge you have will help you through it. The very nature of prepping is to help you survive. Go out. Meet with your friends and family. Wear makeup because it makes you feel more confident and less drab. Dress the way you want to. If you’ve prepped the way you should, there’s no need for you to worry so much that you forget there are more things to life than waiting for a disaster to happen. Google is a great resource, but it’s not always reliable. When you’re trying to prep for disastrous situations, you may have consulted the web and found a whole bunch of information. Before you decide to believe in anything, you should make an effort to check and double check what you read. Someone may have written that river water is completely safe and that you can survive on it but if you check again, you still have to filter it. If you don’t check the accuracy of the information you find online with other sources; you could end up with an illness you really can’t afford. Another risk of being gullible manifests when you’re already trying to survive, and you encounter strangers. You might end up believing every word and trusting them with your life, only to be surprised when they leave you hanging instead of having your back. A post-collapse environment draws out the worst in everyone because, at the end of the day, survival is the priority, regardless of how we do it. There will be people you can trust and people who will take advantage of you. Don’t be so quick to trust anyone. Exercise a healthy amount of caution that will prevent you from talking to strangers but will allow you to find the right people. This balance can only happen when you’re confident about you know and what you should do. There’s nothing wrong with doing research. Just remember that when you learn new information, make sure that it’s true lest you end up following the advice and regretting it. If you just believe everything you encounter because you want to be as prepared as possible, you’re going to end up being vulnerable to more risks that can potentially be fatal. Find trustworthy sources so as to avoid being led astray. Prepping is more than just a hobby. It’s a lifestyle and something that can help people through different kinds of situations. It’s a good thing to choose to do, but when it reaches exaggerated levels that result to over-prepping or even desperate prepping, that’s when you find yourself in more dangerous situations that you tried so hard to avoid. The key to doing it right is to be as rational as possible. Settle for just the right amount; no more, no less. Be aware of everything around you but make sure that that doesn’t keep you from seeing the truly important things that like having friends and family and enjoying life in general. Prepping works best when you do it simply because you want to and not because of blinding paranoia. You said, “Having too much food and water means that you run the risk of not being able to keep track of which was the first batch that went in the storage and therefore the first thing that you should consume.” This would take place only if you’re an idiot who can’t label, rotate, and use oldest supplies in your regular food consumption. Anybody who has been through a societal meltdown will tell you there is no such thing as having too much food. Paranoia is just caution taken to an extreme, and you’re not paranoid if they really ARE out to get you. I completely agree. There are long term storage products also such as rice,beans,pasta,wheat berries ect that can be stored in mylar bags for 20+ years. no chance of these going bad. Also most canned goods have a 2 year best used date and are safe to eat for years after that. While storing a year supply of food is more than 99% of the people out there have done storing more is better. How much more is a question only you can answer for yourself. I personally continue to but staples on a monthly basis. Common thread here…a whole article devoted to things that could go wrong, but, with prudence, likely won’t. The whole idea to prepping is to consider such negative eventualities. This article sounds like a kindergarten teacher talking to previously uninitiated students. Go back and de-generalize some of it. The bit about disorganized storage is especially irritating, any fool that cannot organize on even a basic level wouldn’t be a prepper anyway..
so, who is that aimed at? Thanks for the feedback, I will let the writer know. But here is my problem with having just a year’s worth of food on hand…..you just don’t know how many people you are going to wind up feeding….if 4 more people show up at my house the author’s recommended “year’s worth of food” will now only last 3 months. If 8 show up, we will all only survive 4 – 6 weeks. 4 – 6 weeks is not going to be long enough to get to the growing season in my area to allow for the possibility of resupply by gardening. But only having only a year’s worth of food when you are prepping for long term survival? Silly and perhaps dangerous advice. I’ve made pork BBQ for sandwiches using 5 year old canned ham. You couldn’t tell it from canned ham you just bought. Too many people do just what the grocery industry want–throw out anything past it’s “expiration” date. Thanks, Cass, for your well proven common sense advice.